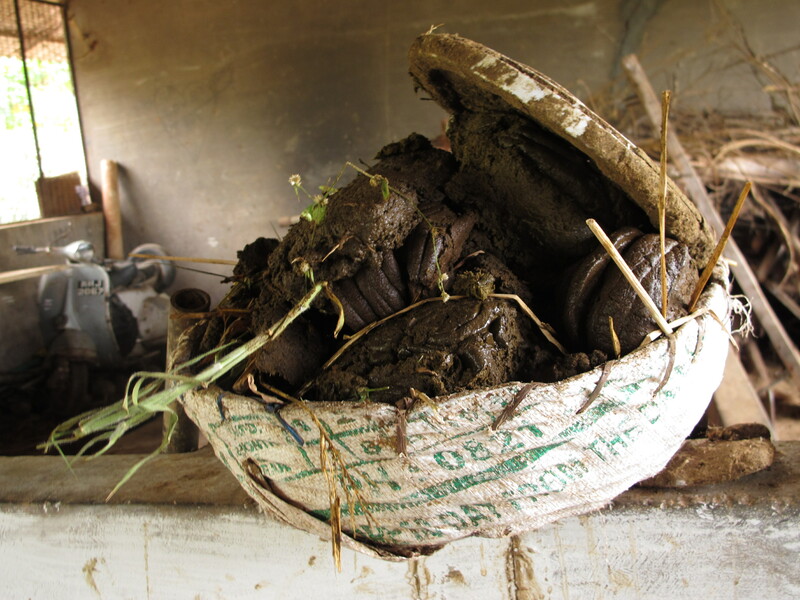 A basket of cow manure – the essential ingredient in biodynamic farming. Recently, my dad told me, half-joking, that he reads my blog to get an education in manure. Well, Dad, this blog is for you. Biodynamic farming is a style of farming that relies on manure and urine (preferably from cattle) to make compost and “preparations” that help harness the cycles of the earth and solar system to maximize crop yield, increase biodiversity of plants and animals (wild and domestic), manage pests, and to raise the energetic frequency of the farm. I often hear the phrase “beyond organic” used to describe biodynamic farming and if you think “conventional” farming practice are correct or normal, biodynamic farming may indeed sound “out there”, but at the BASIL Biodynamic farming workshop held in Mysore, India, I would get an in depth understanding of the logic behind this style of farming and, yes, and education in cow manure. 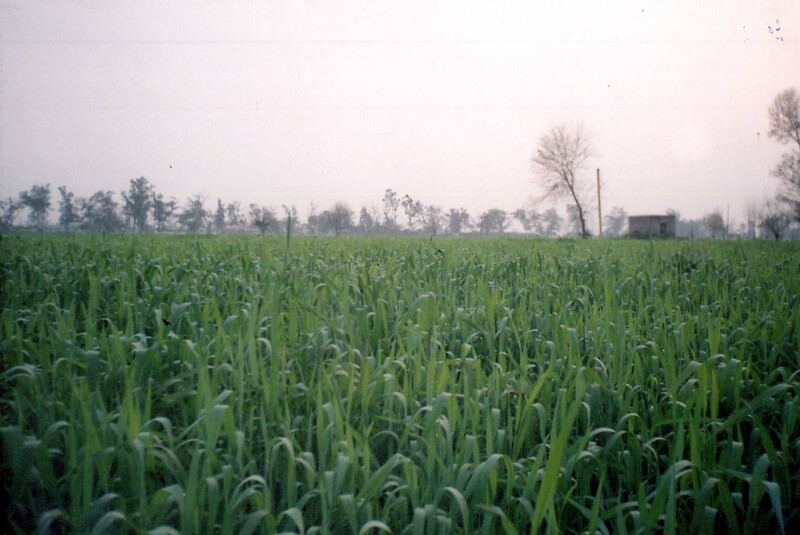 This photo is from a slide show presentation about a farm in Punjab that used biodynamic methods to rehabilitate the soil. 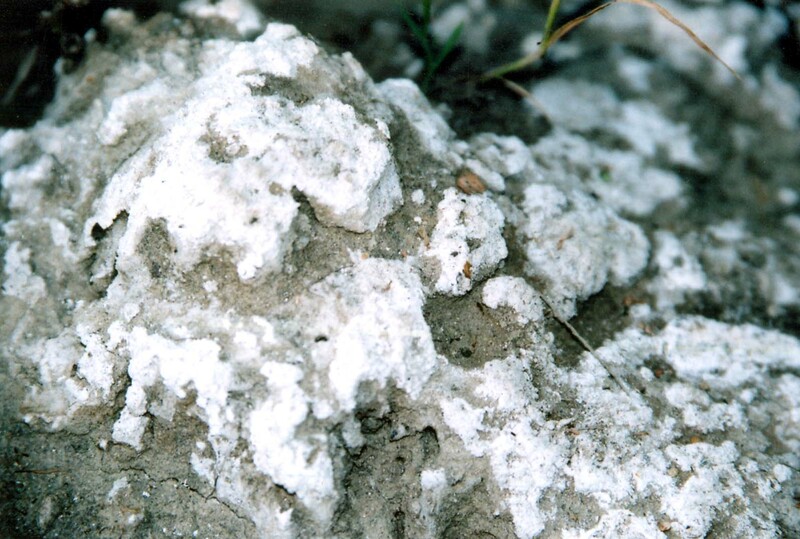 Pictured here is a saline crust on the soil from the overuse of fertilizer. 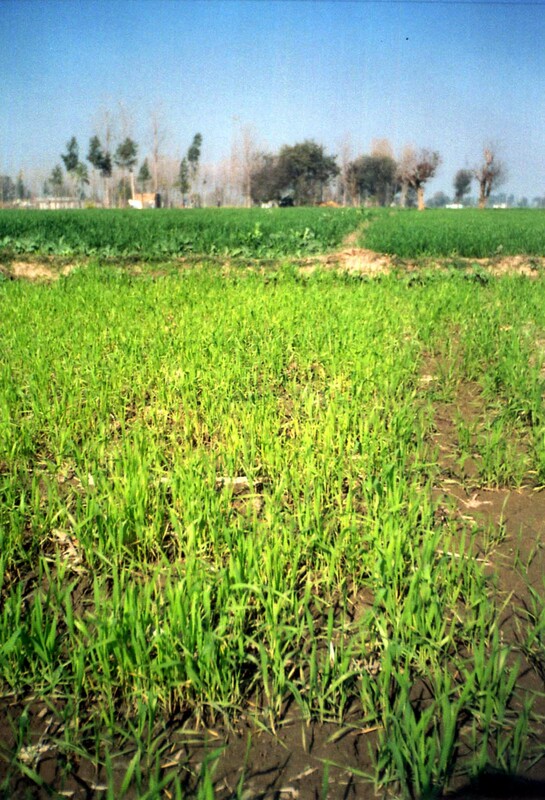 This was the sparse crop that was growing in the depleted soil. After biodynamic methods rehabilitated the soil, the crop is once more lush. 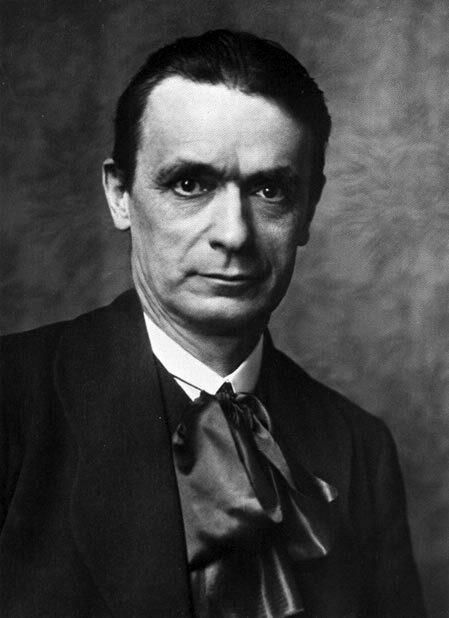 Biodynamic farming was invented by Rudolph Steiner, an Austrian man who was a prolific literary critic and cultural philosopher during the late 1800s until the 1920s. He created the anthroposophism (human wisdom) philosophy and lifestyle movement. At the heart of Steiner’s philosophy is the idea that everything in nature is a part of a spiritual world. Spirit or energy is present in every particle of the planet, from humans to rocks. Steiner believed that with effort, every human could maximize his or her potential by connecting to this energy through a life of ethical conduct and raising one’s consciousness with meditation. Steiner was no armchair philosopher. He spent his life developing and teaching others the practical applications of his philosophy. Steiner created his own systems of education, founding a school in Wardolf, Germany. Now known as the Waldorf system of education, Steiner’s philosophy lives on in schools all over the world today. Not only did Steiner found the systems of Waldorf education and biodynamic farming, he also created his own style of medicine, architecture, and even banking. Upon request of farmers disenchanted by the new chemical farming method that began in the early decades of the 1900’s, Steiner created the principles of biodynamic farming. Chemical farming is just over 100 years old and occurred after a method to extract nitrogen from the air was developed and used in bomb production. Pesticides, which were discovered while scientists were creating chemical warfare agents, were also a byproduct of the war machine. Soon inorganic nitrogen was being used to fertilize fields in Europe around the time of the 1st World War, and the use of chemical pesticides quickly followed. Some farmers worried that produce grown with these new chemical inputs was of an inferior quality, concerned the food was deplete of the vitality and taste it once had. Steiner agreed that chemical farming depleted the “life force” of food and the environment. He created biodynamic farming principles to counteract the harms of chemical farming and restore lost energy back to the environment. Cow herders in training at the BASIL workshop. Mysore, India. 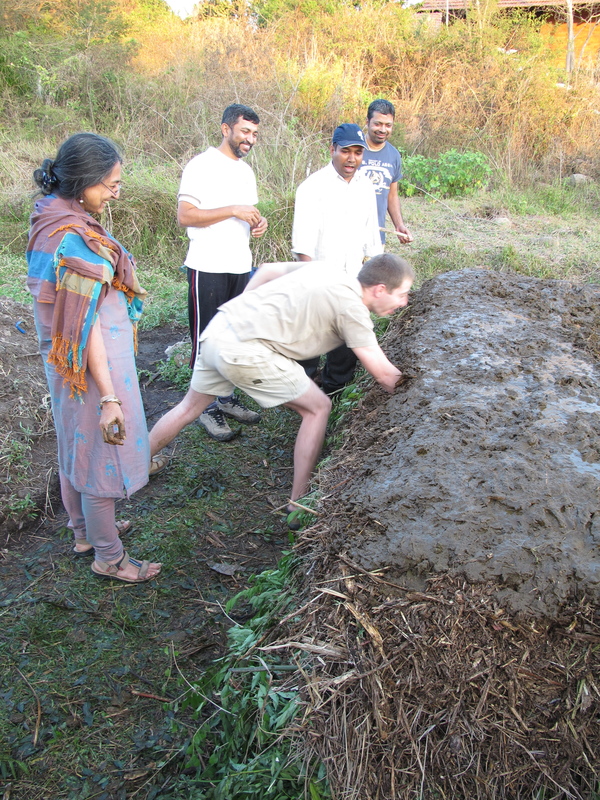 At the heart of biodynamic farming is the reliance on cow manure and urine as the base for compost and preparations. Minerals and plants, ideally sourced on the farm, are added to different manure and urine solutions to enhance these hand made preparations. 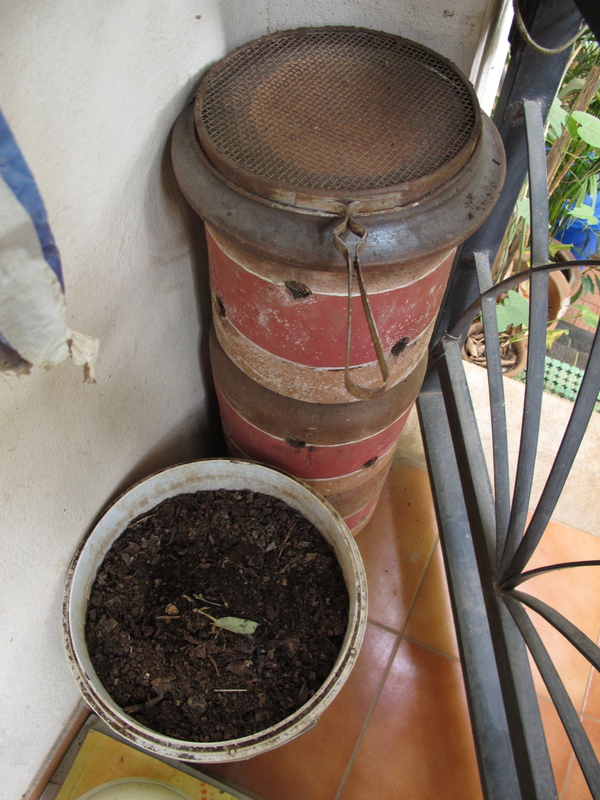 Compost and preparations are used to stimulate growth, manage pests, and increase the amount of energy in food. Steiner created an astrological almanac for farmers to use, which enables farmers to harness the natural forces of the cosmos – particularly the waxing and waning of the moon – to plant seeds, apply preparations, and harvest food. Steiner believed that the farm should work as an organism, everything used on the farm should come from the farm and be reused and recycled within the farm. The reliance on cow manure and urine and the low cost high labor style of farming makes biodynamic farming particularly suitable in India, a country which houses one third of the worlds cows on three percent of the earth’s surface and where seventy percent of the population still lives a rural lifestyle. The biodynamic farming movement was promoted in India by the New Zealand born, Peter Proctor and his wife. Both of them devoted their lives to helping farmers recover from the economic and environmental fall out of India’s Green Revolution, which temporarily solved India’s food crisis by giving farmers subsidies for chemical fertilizers, but has since proved unsustainable. Their efforts to spread biodynamic farming methods are the topic of the documentary, “One Man, One Cow, One Planet” and their legacy lives in at institutes like BASIL. Several of our instructors had received training from the Proctors themselves. 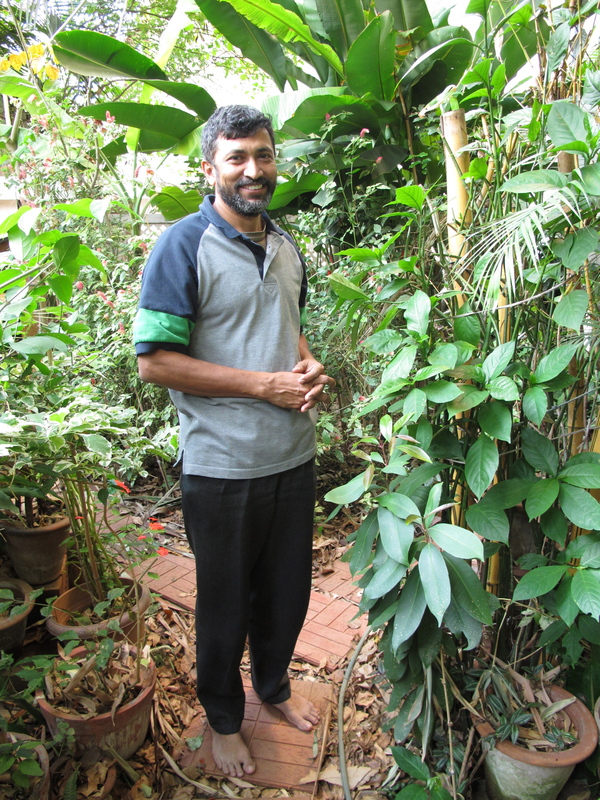 Ravi, a student of Peter Proctor and one of our instructors at the BASIL workshop pictured in his biodynamic garden in Bangalore. There were around 20 people from India, the United States, and Europe who attended the four day long course at the BASIL institute in Mysore. The course was facilitated by Dr. A. Thimmaiah, who has been hired by the country of Bhutan to assist farmers in making the country 100% organic; Dr. Regina Dass – who taught us soil science; Ravi Koushik – who taught us composting, astronomy, and how to use biodynamic astrological almanac; and Briony from Britain, who works at Tablehurst and Plaw Hatch farms in England – who educated us about biodynamic preparations. Four days wasn’t nearly long enough to learn about soil science, composting, manufacture and application of biodynamic preparations, astronomy, the biodynamic astrological calendar, and animal husbandry, but our knowledgeable guides did their best to impart all they could in 96 hours. 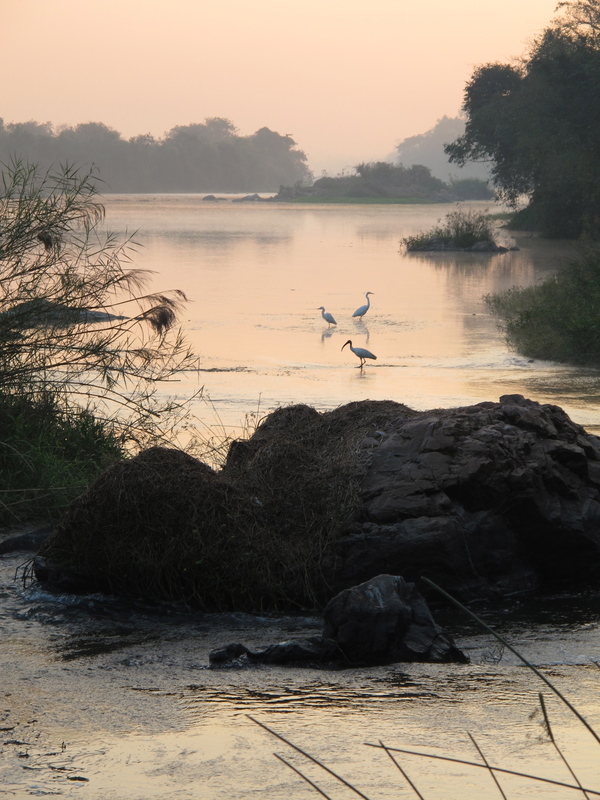 Days began at 5 or 5:30 in the morning, either star gazing, doing yoga, or learning how to make and apply preparations. Days ended at 9:30 or 10 at night, after once more learning how to read the night sky, watching documentaries, or sharing songs. I was inspired to meet so many people from all walks of life who were in the process of aligning their lifestyles with their personal values out of concern for the future of the environment and their children and learning how biodynamic farming could play a role in this process. 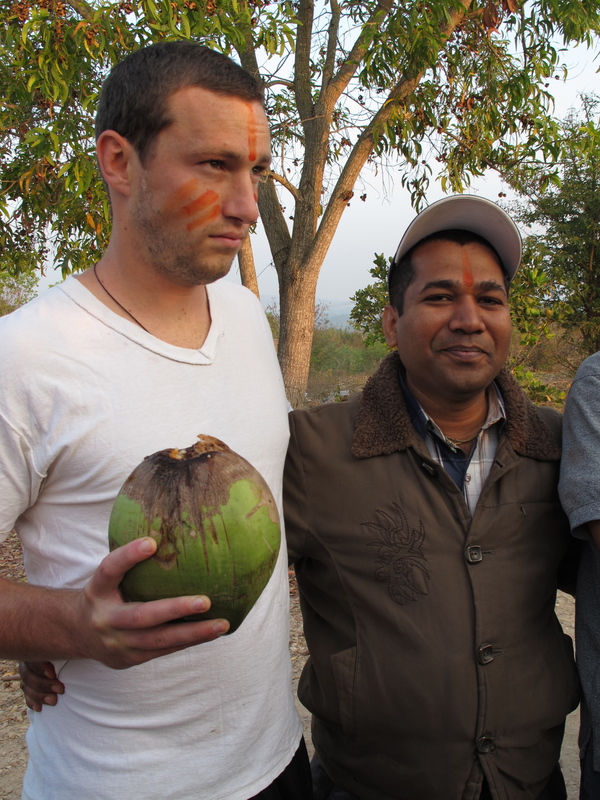 Bobby, from New Mexico and Krishna, a farmer in Goa, making friends at the BASIL institute. Earthworms and manure are also used to make vermicompost compost. 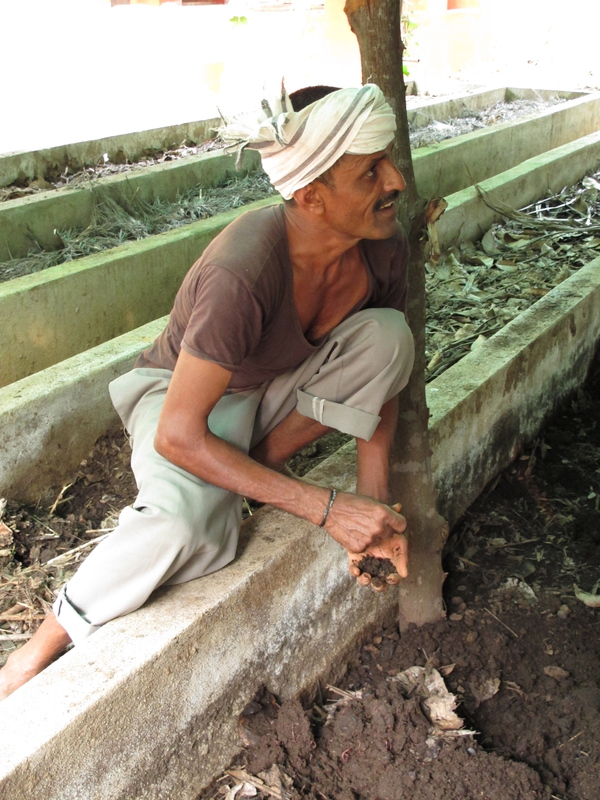 A vermicompost facility at a farm near Bangalore pictured here. Chemical farming disrupts soil biodiversity. There is some debate about whether inorganic nitrogen and phosphorous, when used in moderate amounts, negatively effect the biodiversity of soil microbes, but the pesticides and herbicides that are the hallmark of conventional farming certainly have a negative effect on these unseen but essential soil flora and fauna. Instead of addressing the issue of soil fertility, most farmers increase the amount of fertilizer they are using to improve yield. This provides a temporary solution, but leads to other problems environmental and public health problems including nitrogen run off responsible for oxygen deplete dead zones in oceans around the world. Biodynamic farming addresses soil fertility by purposefully creating compost rich in bacteria and fungi like micorrhizae, as well as addressing pest problems with polyculture, crop rotation, naturally made preparations, and integrated pest management. 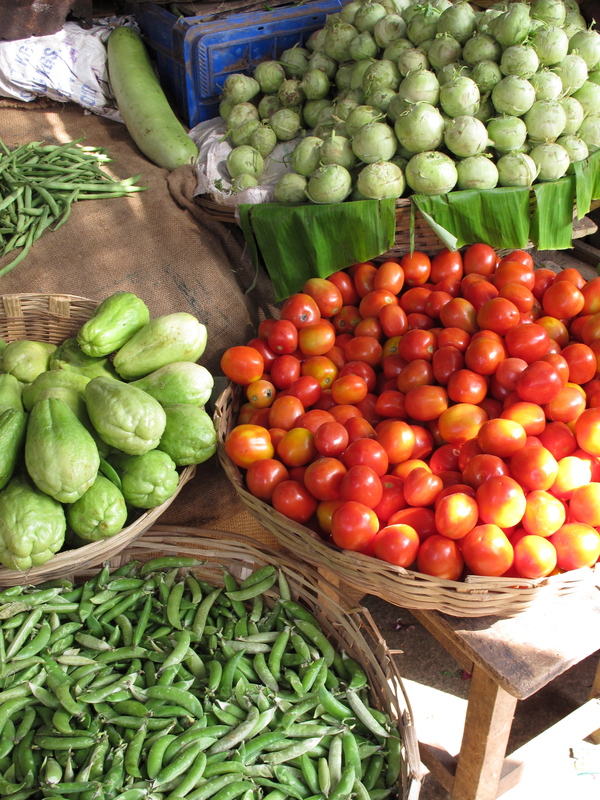 A startling amount of chemicals are being used to grow many foods in India. At the workshop I learned no less than seven applications of chemical are used to “grow” cauliflower in India. This is where cattle and their manure take center stage. 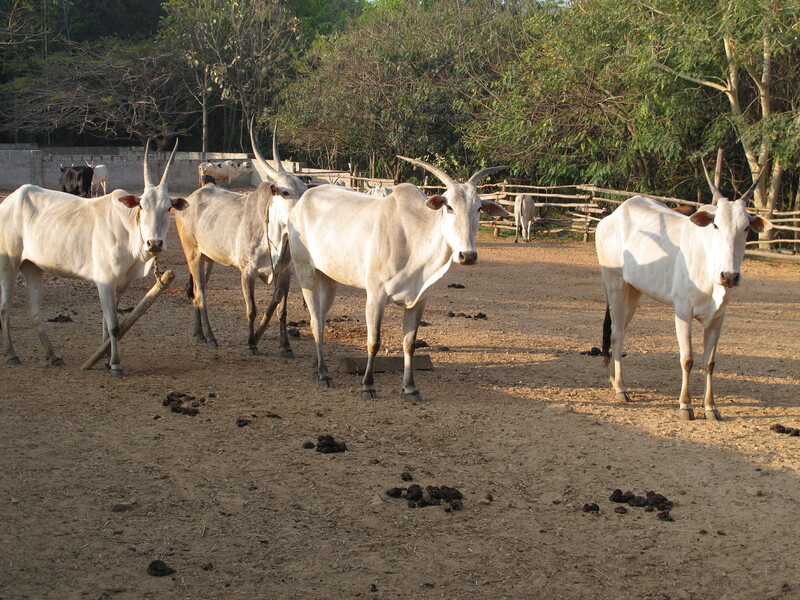 Cattle manure is a rich source of beneficial bacteria. Cows, in fact, are giant bacteria factories. This is largely due to the fact that their main source of nutrition is grass, which is composed of cellulose, not an easy thing to digest. Humans with our puny solitary stomach cannot gain any nutritional benefit from cellulose. To digest cellulose cows require four stomachs, two rounds of chewing, and a large amount of beneficial bacteria (which help food to be digested and metabolized by the body), for cellulose (the main component of grass) to be digested. Cows could not digest grass without the assistance of bacteria and their bodies are a gurgling grass-fermentation and digestion factories. In our germ phobic culture it may be a surprise to learn that bacteria are largely beneficial, in fact, necessary for digestion to occur. This is not unique to cattle. Humans also depend upon an astonishing number of “beneficial” bacteria. (According to the book “Infection” by Gerald Callahan our bodies are comprised of 90% bacteria, the majority of which we can’t live without.) Biodynamic farmers try to create conditions where the “good” bacterial thrive and alternately where “bad” bacteria feel unwelcome. Cow manure is a perfect substrate for bacteria to multiply through the composting process, which turns digested grass into hummus a potent, highly fertile kind of soil substrate. A can full of finished composts. It has the look and texture of damp coffee grounds. 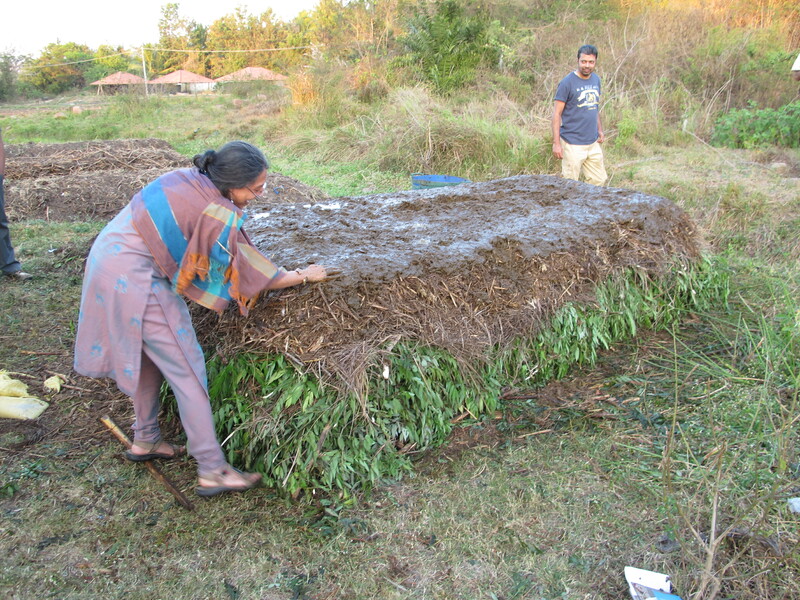 At the workshop we had the chance to get out of the classroom and literally get our hands dirty by building our own compost pile, with green and dry materials, and you guessed it, a whole lot of cow manure. The manure was made into a slurry and spread in alternating layers with the green leaves and branches, shredded wood, and a sprinkle of rock dust (which adds minerals), and another sprinkle of hydrated lime (which adds calcium). Our compost pile resembled a giant bread loaf 2 meters wide (not too wide so we couldn’t reach the middle), 1 meter tall (so it would encourage earthworms to inhabit the mound), and about 3 meters long (it can be as long as you like). While we were building it, we were instructed to make it look symmetrical and “pretty” and have fun in order to add our own energy to the pile. As a finishing touch we inserted several special manure balls, biodynamic preparations that would speed the digestion process of the mound, along the length of the pile. We then posed for our group picture. The compost pile must be built on organic fertile soil, to encourage the naturally occurring bacteria to proliferate in the pile, and the pile must be moistened and turned several times as the bacteria digest the bulk of the green and dry materials into a hummus which has an appealing smell and the texture of slightly damp coffee grounds. We took turns stirring the cow manure slurry into a vortex before spreading it on the compost pile. Artist and educator, Pinti, was in charge of making the compost pile look beautiful. Trying to “act natural” while spreading manure on the compost pile. 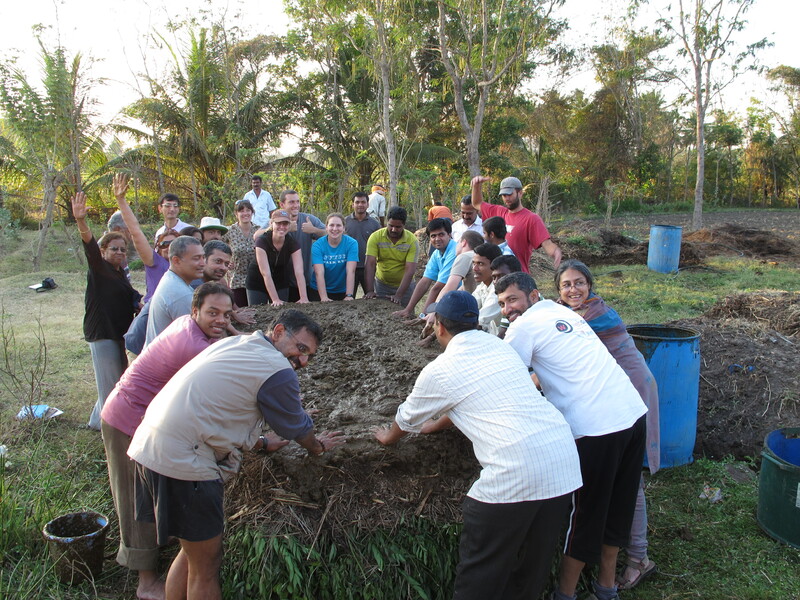 Group photo around our freshly made compost pile. 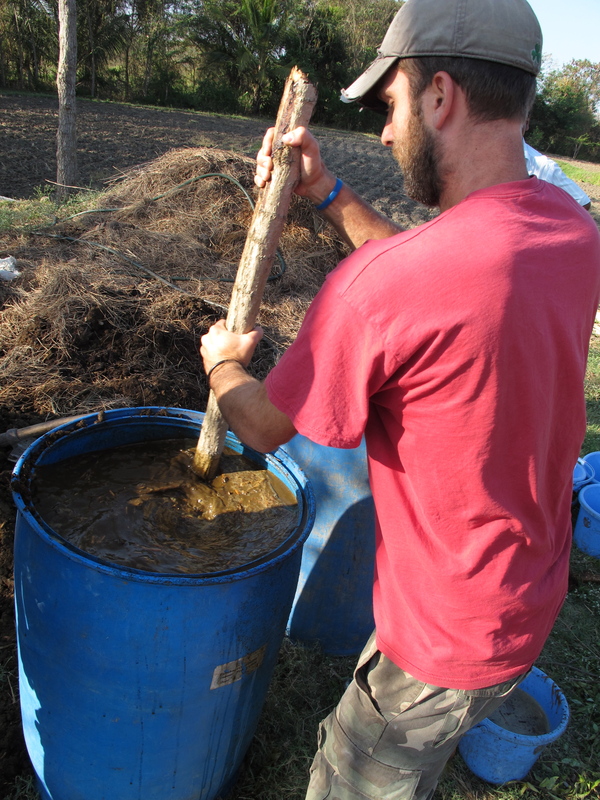 Manure is also used in two important and widely used biodynamic preparations – pitty pat preparation, and preparation 500. Pitty pat preparation is prepared in a pit and is another way of using manure to make a bacteria rich slurry that can be directly applied to fields. 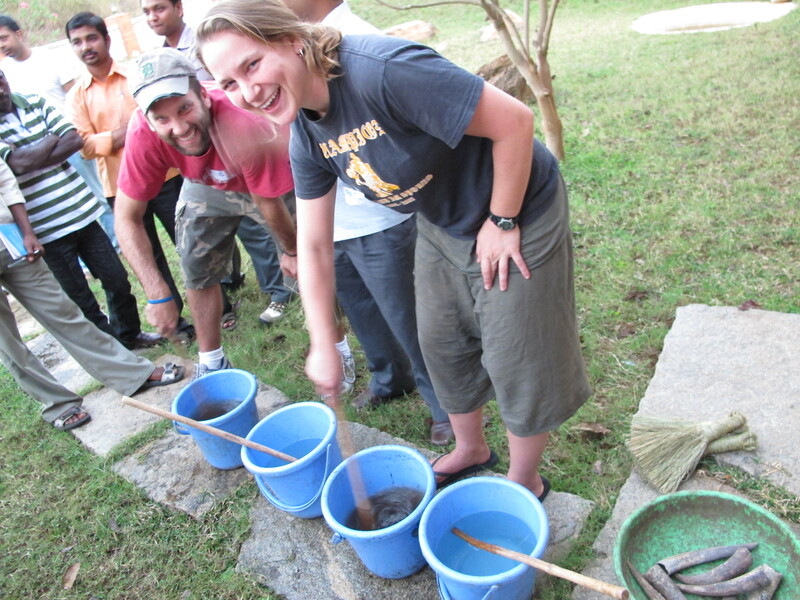 Preparation 500 is made by packing fresh cow dung into a cow’s horn and burring the manure filled horn under the ground for a specific length of time. 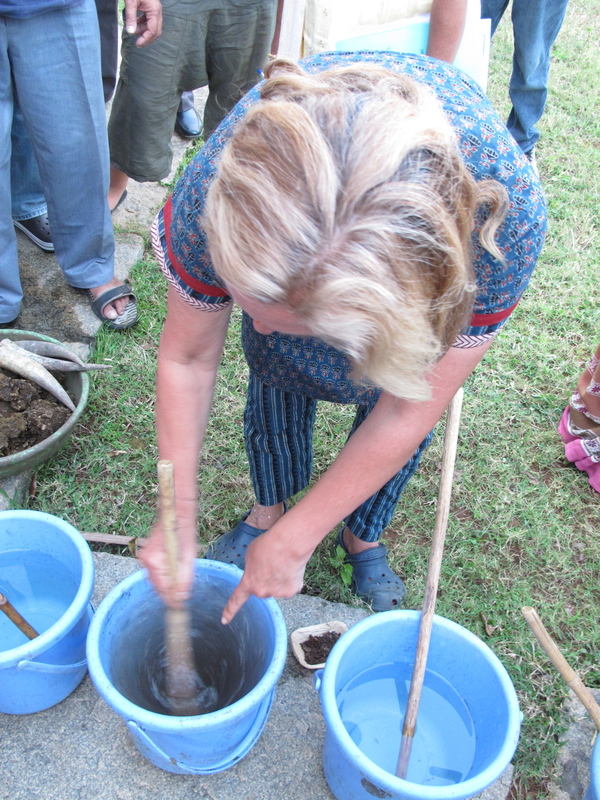 When the cow horn is retrieved the decomposed manure is added to a large volume of water and made into a preparation by stirring rapidly with a stick in a deep bucket for an hour. While stirring you create a vortex, a deep whirlpool in the water. 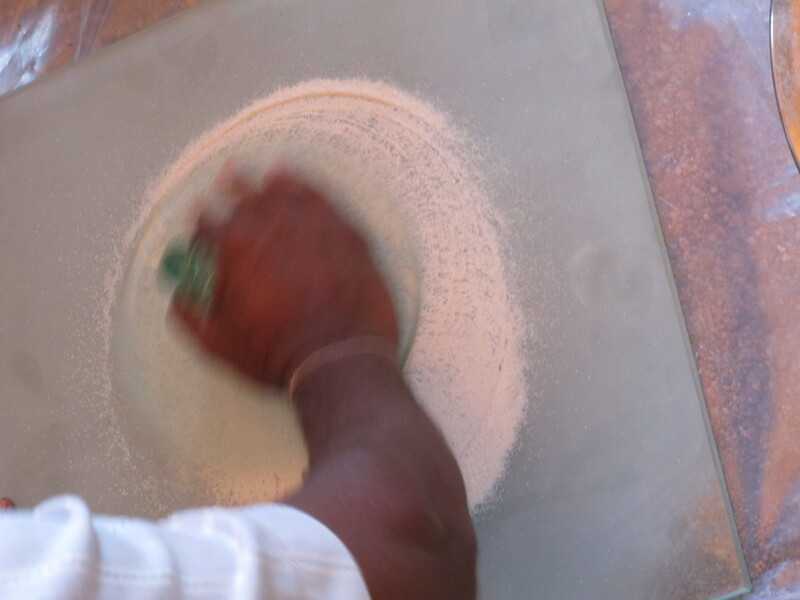 You alternate directions of the vortex every five minutes or so and you stir the preparation for an hour. It helps if you have several people to accomplish this task as it quickly makes your arms tired and time passes more quickly when you are having fun with friends. Steiner believed that incubating the manure in a cow horn would infuse the matter with the fertility of the female bovine (only cow horns are used to make preparations – never bulls or oxen) and the vortex would amplify the life force of the preparation. Immediately after the slurry is ready, you sprinkle it on the fields using a small broom-like brush and apply the preparation in downward strokes. Preparation 500 is used to amplify the nutrients in the soil provides that plants absorb from their roots. 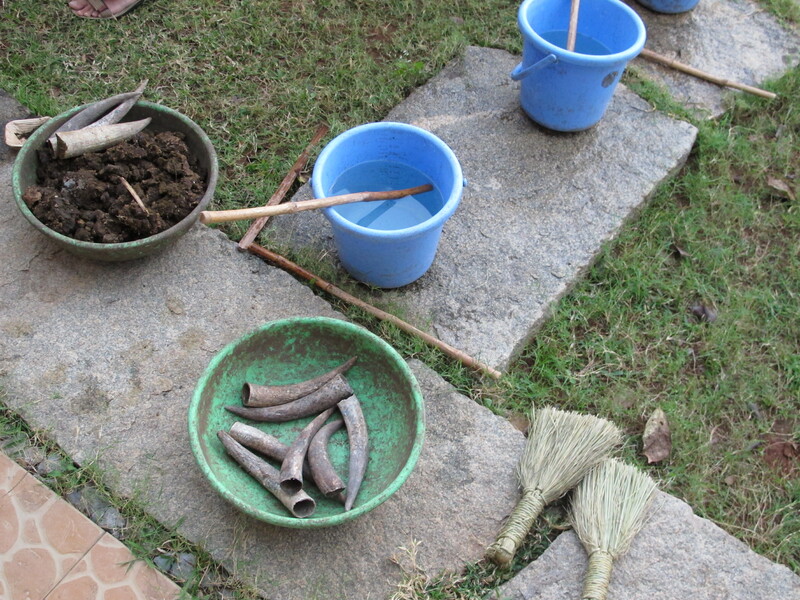 Raw materials needed to make preparation 500, cow horns, cow dung, buckets of waters and sticks to stir the preparation. Briony instructs on the proper way to create a vortex. Preparation 501 is also prepared in a cow horn that is buried in the ground, but instead of manure, ground silica (quartz crystal) fills the horn. After the quartz filled horn is buried, the preparation is prepared using the vortex method and then sprinkled over the field using a sprayer pointed toward the sky. Preparation 501 is supposed to amplify the properties of the sun and the air and the natural benefits light and air provide to plants. It is only sprayed in the early mornings or in the afternoon, so that direct sunlight will not scorch the leaves of the plants. These preparations can easily be made on a farm and other than the silica, all the ingredients should come from the farms own cows. Dr. Tim fills a cow horn with silica. There are other preparations used in biodynamic farming, but these are often trickier for farmers to make themselves. Some of them require plants to be incubated in different animal organs or intestines to amplify their combined symbolic properties. For example, preparation 503 is a preparation made by filling a cow intestine with chamomile. Chamomile has soothing properties and aids in digestion. A cow intestine, as mentioned before, is also a marvel of digestion. This preparation is used in manure piles to speed the composting process in which bacteria digest a mass of organic material to create a potent and fertile hummus. The preparation is believed to prevent a compost pile from putrefying and eliminates any odors because a compost pile should never smell bad. Biodynamic preparations 502-507 are all designed to harness the useful properties of plants and sometimes animal organs and bring these energies to the fields of the farm. Kim inserts preparation 503 into the compost pile. The use of preparations, planting of seeds, and harvesting of plants is regulated by a biodynamic cosmic almanac. This guide is published every year and helps farmers try to harness the cosmic cycles of the universe to help their fields prosper. This extremely detailed month-by-month reference guide tells farmers the astrological sun and moon positions. It also documents which planets may influence the growing cycle. And advises planting and harvesting based on the waxing and waning of the moon. The calendar also marks special days when the moon crosses the earth’s rotational plane and when the moon is closest to the earth and farthest away during its elliptical orbit, respectively called perigee and apogee. 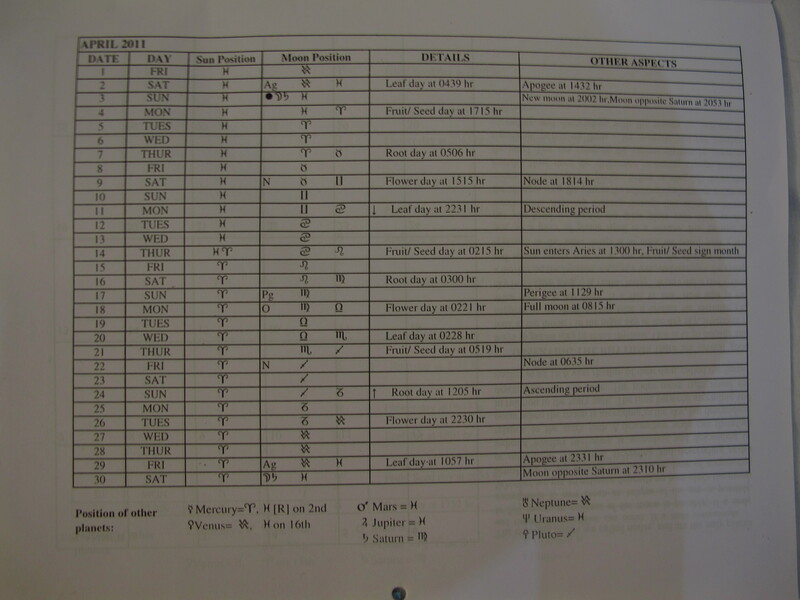 Steiner viewed the orbit of the moon as it made its 27.5 day trek around the planet, the earth’s monthly breath. The constellations oriented farmers through the seasons as the earth made its way through the zodiac. Different constellations also represented different parts of the plant. For instance, Virgo, Capricorn, and Taurus represent roots and soil elements and applying preparation 500, which benefits roots, is supposedly extra effective on these days. Other constellations represent leaf/water, flower/air, and fruit/seed respectively. Steiner believed that people could harness these natural rhythms of the earth and the cosmos to capitalize on life forces that can’t be visibly seen, but the manifestations of which would be visible in the success of the farming practices themselves. The Biodynamic Farming and Gardening Calendar for April 2011. I admit that I haven’t yet wrapped my mind around everything I was exposed to at the BASIL workshop. The biodynamic farming and gardening calendar seems particularly incomprehensible at times, but I don’t have to understand all the symbolism of the star signs to be able to use the calendar as a guide for planting and harvesting. Ravi described the benefits of using the calendar as a “free subsidy”. If you could time your farming or gardening to the calendar most of the year you would have a little bonus come harvest time. In reality, it can sometimes be difficult or impossible to follow the almanac every day. I admit there were times that I felt like I was at Hogwarts academy, which is where the young witches in Harry Potter books go, when I was learning some of these details about biodynamic farming. (Briony with her soothing British accent may have been partly to blame for this feeling.) But overall, learning about biodynamic farming only increased my respect and appreciation for people who try to farm without harsh chemical fertilizer or poisonous pesticides or herbicides. I have also been to several biodynamic farms in desertified areas, which have transformed arid unfertile soil into beautiful oases. Biodynamic food has a more intense flavor than conventionally grown food and often makes me feel energized after eating it unlike the lethargy I often feel after I’ve eaten conventionally grown restaurant food. Biodynamic farms also have more wildlife and biodiversity than farms that apply chemicals. While some animals are pests, others are beneficial predators, whether they are insects, bats, birds, or barn cats. At the center of it all is “the hero” of biodynamic farming – the cow. … thanks in part to these cows. 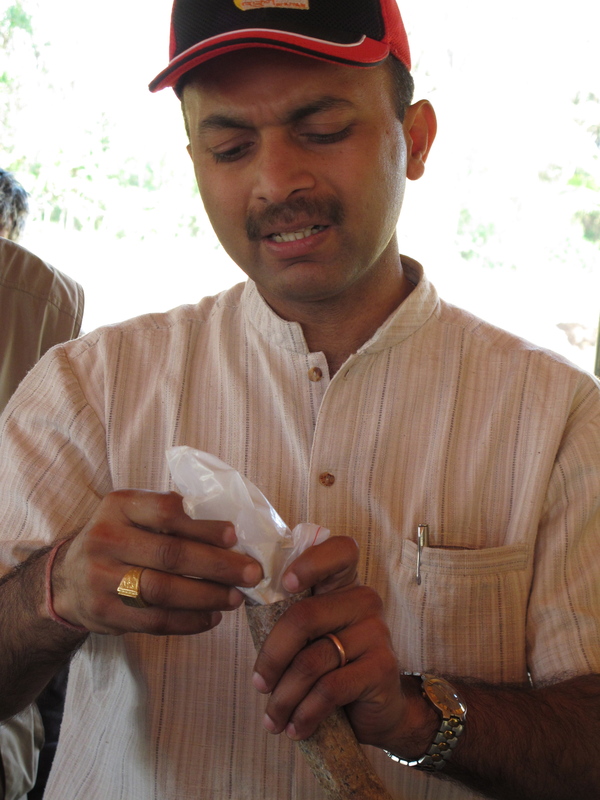 This entry was posted in India and tagged Biodynamic Farming, Compost, Farms, India. Bookmark the permalink. Thanks for your kind words Dr. Regina. Best wishes with your research and good works and please keep in touch. Beautifully written, and thank you for putting together the memories of our class. Best wishes for your plans to switch to biodynamic farming. Please contact the BASIL Academy http://www.basilacademy.in/ for any support and education you might need. 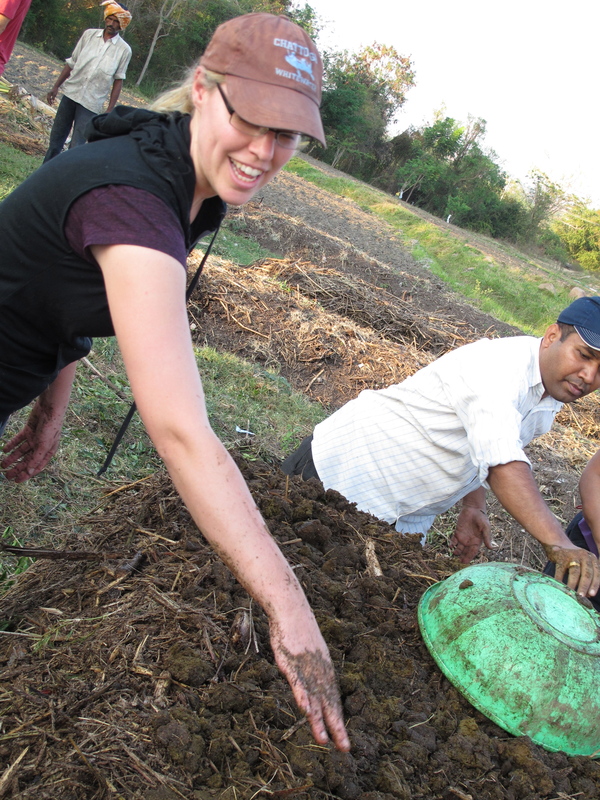 I’ve been to Punjab and it would be wonderful to see biodynamic farming succeed there. Thoroughly enjoyed this article. Well written and highly informative. Thanks very much. hello Kelsi, just to note words and pictures are rippling ever onwards. Thanks Becket, Hastings, New Zealand.